Wellington, July 18 NZPA - A decision on proposals to mine on conservation land was likely today, Prime Minister John Key says. However, Labour has previously said that figure has been reduced to 3500ha. Mr Key confirmed this morning that Cabinet would discuss the issue today and a decision was likely. "I can't be 100 percent sure because there's a few ministers who haven't had a chance to chat over what's in the Cabinet paper until we get there," Mr Key said on TV One's Breakfast programme this morning. "In all probability I expect us to make a decision and I expect the minister to make an announcement this week." Mr Key said there was about 3.5 million ha of schedule four land and officials recommended opening up 467,000 ha. "We whittled it down to 7000 so we are not environmental vandals that's for sure. Is that 7000 going to make much of a difference? The answer is you can argue that both ways, there's definitely some minerals or resources there no question about it, especially there in the Coromandel there's quite a lot. But on the other side of the coin, is it material enough? Well that's the decision we've got to have." Early this year Mr Key said significant changes would be made to schedule four but yesterday on TVNZ political programme Question and Answer he was more circumspect, given the much lower area of land under consideration. "I don't think you could actually claim 7000 is significant... what I'm saying is at the time when we looked at that we were considering much broader, well potentially a broader unlocking of schedule four." 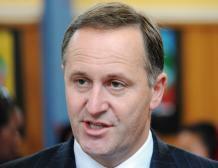 Mr Key would not commit to less than 7000ha, saying Cabinet needed to discuss it. However, he stood by his position that mining and exploration were important for the economy if done sustainably. "I mean conservation land is much wider than schedule four, and the previous government issued around about 88 permits on conservation land. So I think there are opportunities there, but the sensitive bit is schedule four, that's going to Cabinet tomorrow."